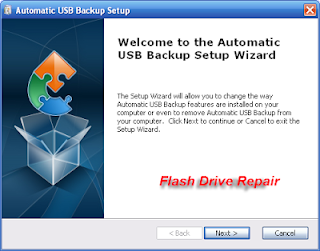 USB Automated Backup How to automatically backup usb flash drive ? 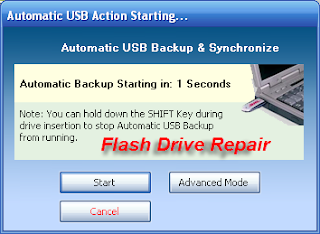 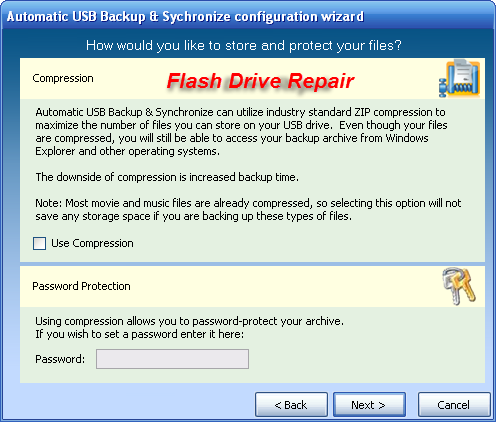 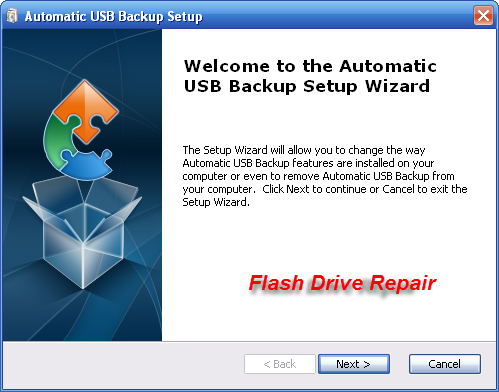 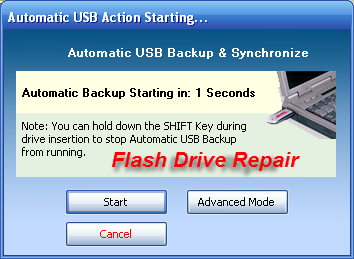 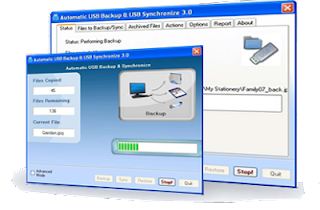 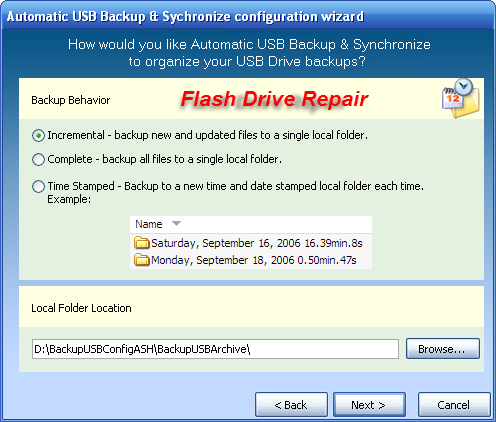 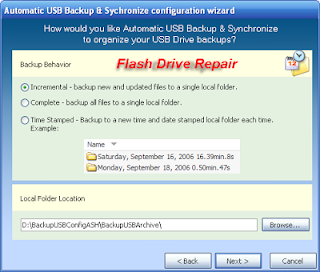 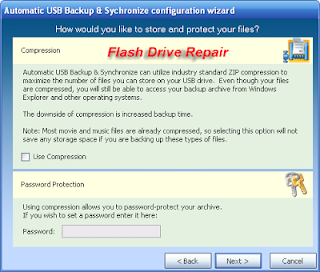 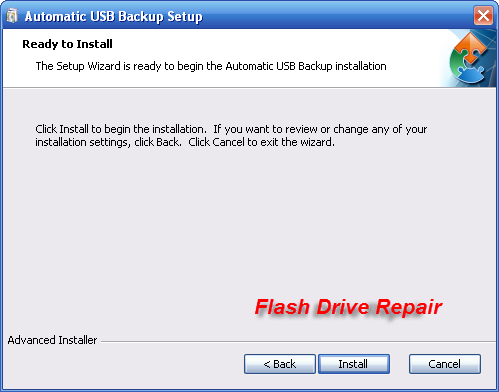 Automatic USB Backup , which you can do to make a backup copy of the files on your flash, the program is doing to back up automatically, as the user can select this option, the program has the ability to make a copy of all kinds of files on flash drive such as movies and songs and software and games, one of the programs of action net backup exciting new .Also you can make HDD backup in usb flash drive .I explain how to use automated usb backup software in details . Now we will explain how to make automated usb flash drive backup or HDD automated backup.I want one thing from you to concentrate with the lesson and do the steps step by step. Now we finish the installation process of automatic usb backup software, now we will explain how to make automatic backup for flash drive or HDD drive . 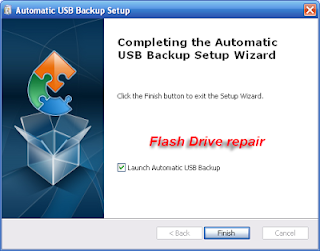 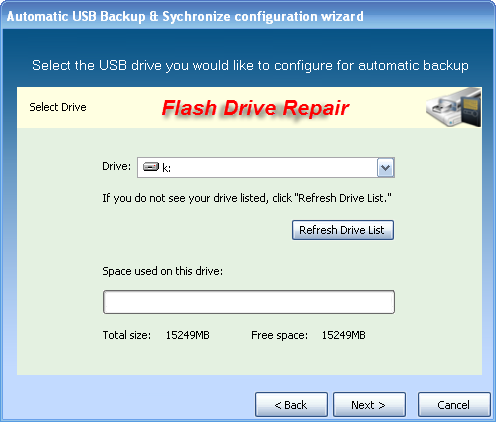 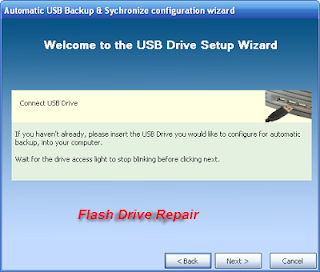 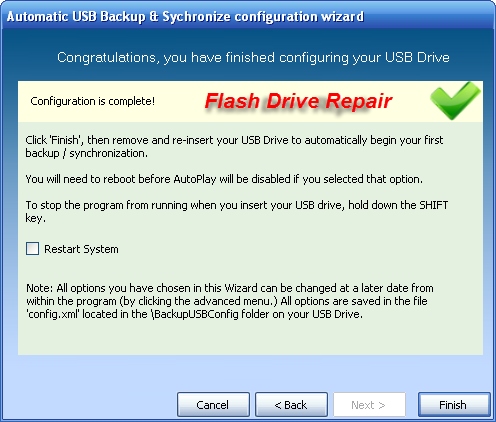 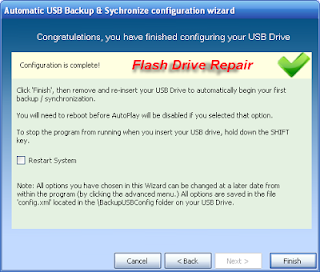 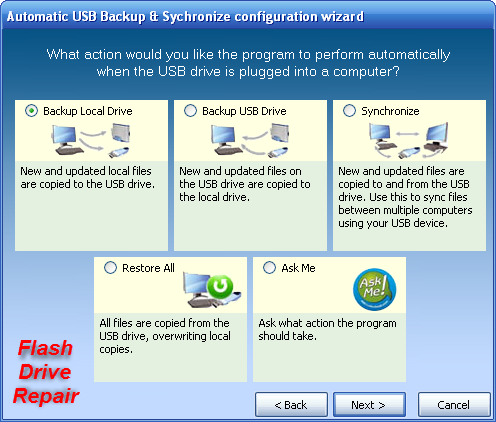 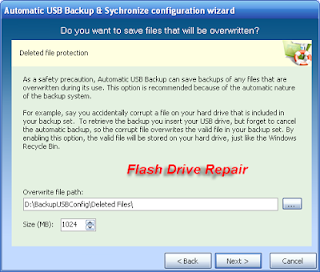 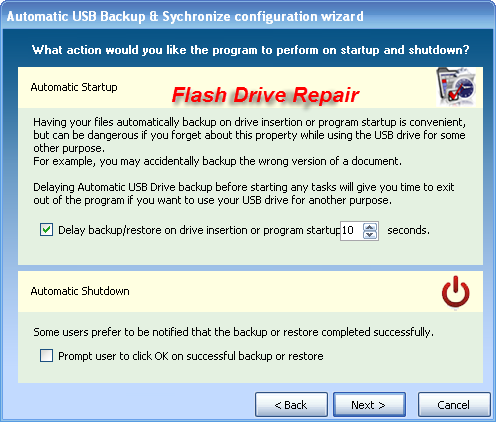 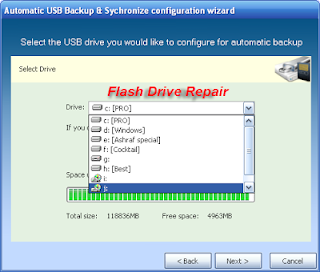 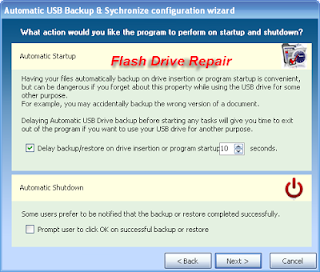 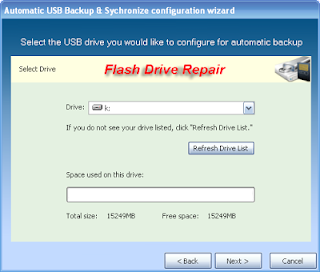 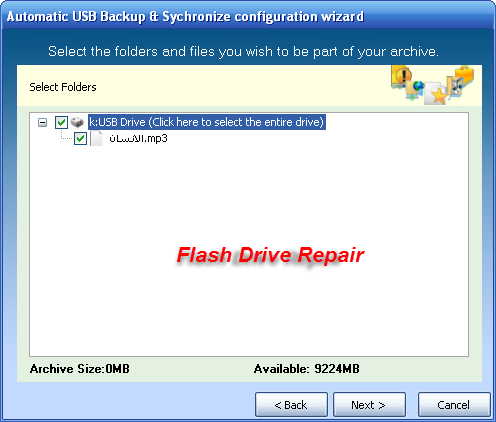 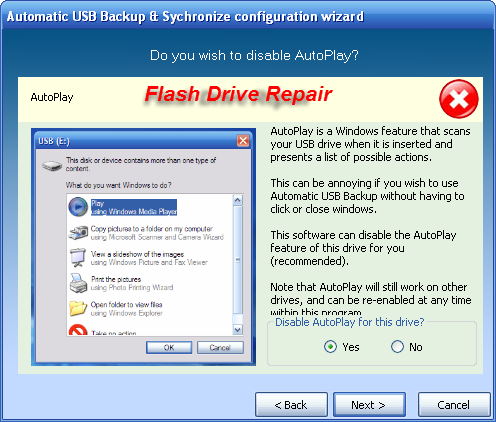 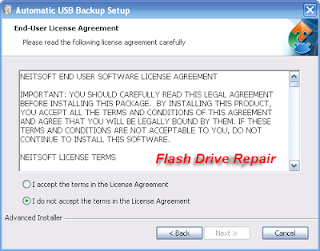 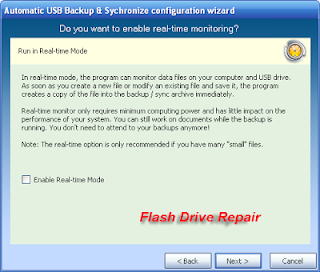 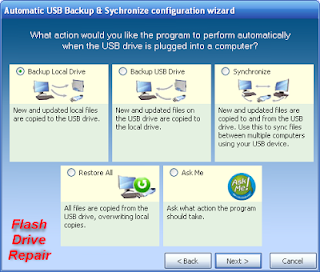 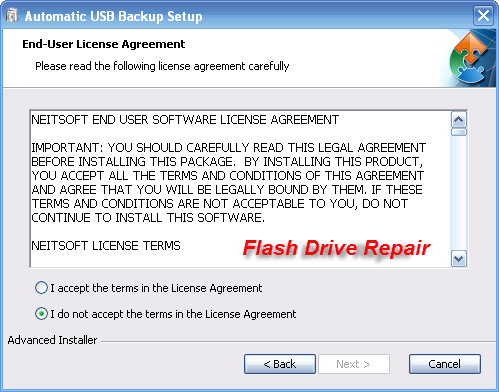 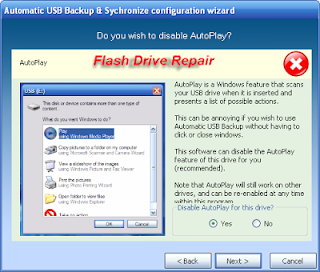 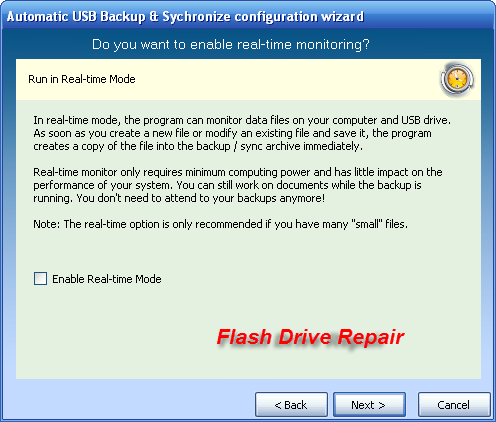 Choose your drive that you will make automated backup for it ,If you will make backup for any partition choose it from the menu "Drive",if you want to make automated backup for flash drive ,insert usb flash drive to your computer then choose the flash drive from the menu in the shown picture.